In this day and age, there are so many common causes of stress and anxiety. 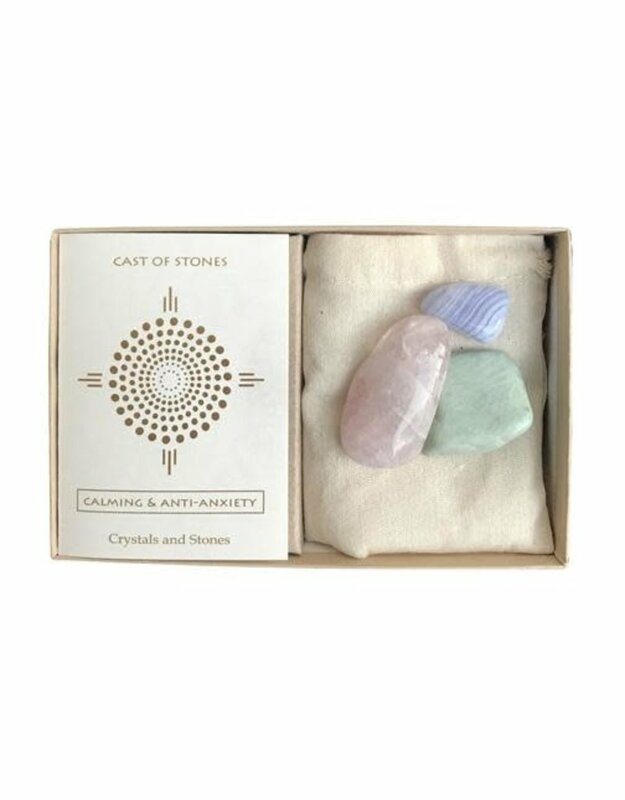 Cast of Stones has put together the perfect stone set for you to better manage trying times and running thoughts. Each stone is magical in their own way. Blue Lace Agate: Known as a stone with calming energy, Blue Lace Agate brings balance during frustrating situations. It allows you to find stabilization to better express your feelings to communicate with others. 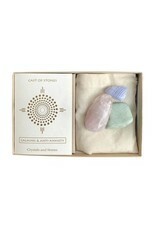 Rose Quartz: Being the stone of love, rose quartz provides additional love to you and your life. It opens your heart up to forgiveness and compassion. Plus, this stone is known to bring peace, ease guilt and lower stress. Amazonite: Equipped with soothing energy, Amazonite promotes a general calmness and overall well being of the body and mind. It also enables ou to view a situation from another's perspective. Life can be tough, but these stones give you the extra backup you need!